Haywards Heath Town manager Shaun Saunders wanted his side to follow-up his side's brilliant midweek win at Crawley Town with three points at Whyteleafe - and that's what he got. But it wasn't easy for his side as they threw away a 2-0 lead at one point. Andrew Dalhouse gave Heath the lead after just nine minutes. 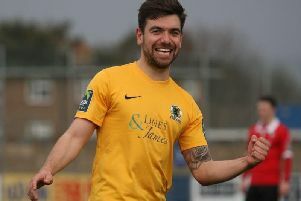 Byron Napper then made it 2-0 on 48 minutes before Harrison Carnegie pulled one back for Whyteleafe seven minutes later. Scott Day equalised on 76 minutes before Dan Hector put the ball in his own net for the home side with just five minutes to go to hand Saunders' men all three points.